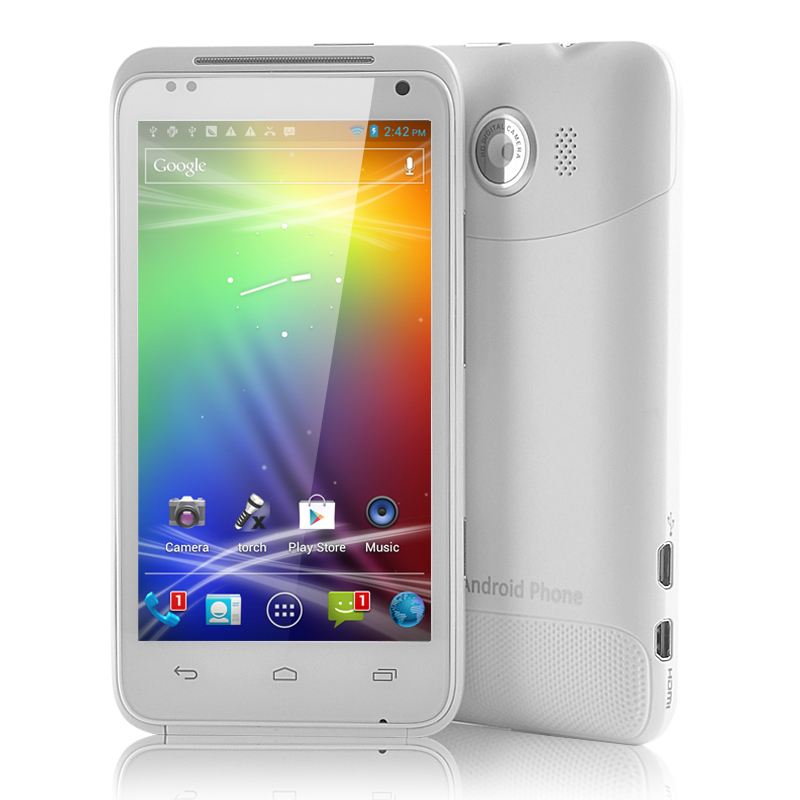 Successfully Added 4.3 Inch Dual Core Android 4.0 Phone "HD-Droid" - 3G, 8MP Camera, HDMI (White) to your Shopping Cart. Introducing the "HD-Droid" with the ability to bring your phones entertainment value to the next level. The "HD-Droid" comes with a TV connection port built in right in so you can easily hook up your phone to the TV. This connection is allows you to take advantage of your high quality HD TV screen to display your picture slideshow, videos or anything else happening on your screen straight from phone to the whole family. This “HD-Droid” has a MTK6577 1GHz Dual Core processor chipset, which is combined with a SGX531 GPU to provide a wonderful gaming experience and will take on all the newest games and apps effortlessly. Add this to a 4.3 inch, 960x540 vibrant screen, and play games, watch HD movies and browse the web like never before. Additionally a 8MP back camera will capture all your precious moments in high quality pictures and use the 0.3MP front camera for video calls over Skype. Running Android 4.0 Ice Cream Sandwich, the “HD-Droid” has one of Android’s most advanced operating systems. Not only is Android 4.0 fast, but it also gives you a high level of customization options and a big app store with more than 600,000 apps. Install any app such as YouTube, Facebook, Angry Birds or Twitter and the “HD-Droid” will run it with ease. Snap a picture with the 8MP camera and save it on the 4GB of internal memory or on a Micro SD card of up to 16GB. The “HD-Droid” is a great media device and can play many different multimedia formats such as MP4, MP3, JPG, GIF, PDF, TXT and much more, plus it has 3G tethering, a built-in 2200mAh battery and a vast range of languages to choose from. 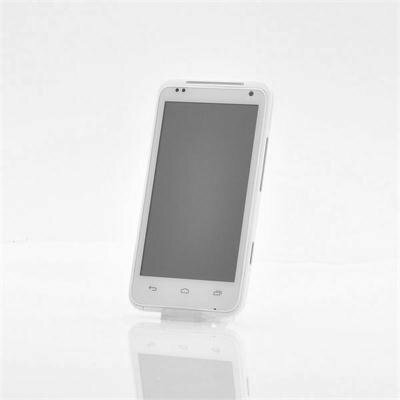 This Dual SIM phone is compatible with WCDMA 850/2100 and with GSM 850/900/1800/1900. 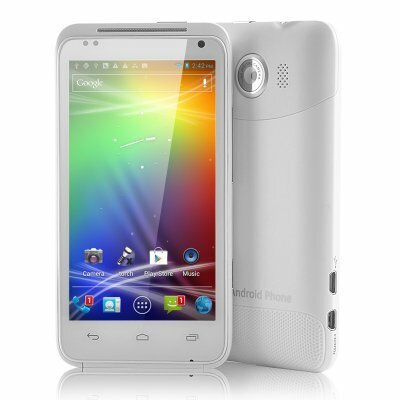 This 1GHz Dual Core Android 4.0 phone with a TV connection is a unique quality at an awesome price. This product is in stock and can be dispatched within 24 hours of ordering with a 12 month warranty. Brought to you by the leaders in wholesale electronics and Android mobile phones, Chinavasion. HDMI cable is not included but is easy to purchase. Well i was expecting a better quality product, for it's price it's OK but the digitizer could have been better. I mean, i can see small dots all around the screen (I have very strong vision), nevertheless the overall quality is OK. Not so responsive as you expect from a dual-core CPU with GPU installed, but it's good for your basic needs. If you are looking for something very good, save some money and get a more expensive one!